The latest data from CoreLogic, for October 2015, shows that foreclosures were sharply lower in the month compared to a year earlier. Foreclosure inventory was down 21.5 per cent while completed foreclosures dropped 27.1 per cent to 37,000. That figure is a 12.5 per cent drop from September 2015. 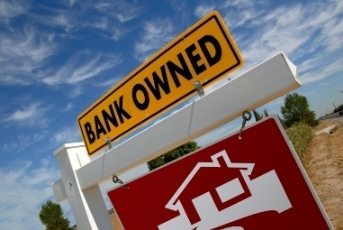 As of October, the national foreclosure inventory included approximately 463,000, or 1.2 percent, of all homes with a mortgage compared with 589,000 homes, or 1.5 percent, in October 2014. This is lowest rate since November 2007. The availability of mortgage credit slipped 0.8 per cent in November compared to a month earlier. Figures from the Mortgage Bankers Association shows that lending standards tightened, driven by reductions among ARM programs. The Conventional Mortgage Availability Index was down 2 per cent; conforming down 1 per cent; jumbo down 0.8 per cent; government-backed increased 0.1 per cent. A new partnership aims to strengthen communities and support young people across America. The National Association of Realtors is joining forces with the Boys & Girls Clubs of America will work together in 2016 with state and local realtors’ associations offering volunteering and resources to help local clubs with their specific needs. Bruno Mars has sold his three-bedroom, three-bathroom home between Studio City and Hollywood Hills West for $3,347,500. The LA Times reports that the Grammy winning singer sold the 1964 home in an off-market deal and has also sold a home in Hawaii. Mars bought an estate in Studio City earlier this year for $6.5 million.